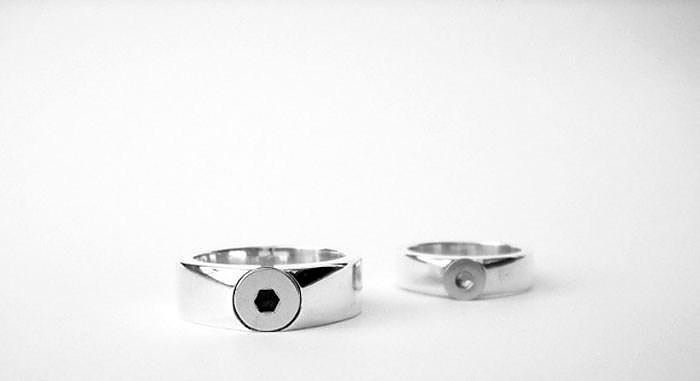 HomeBlogFashion & StyleM3-M4 Rings by The NDC, diamonds turn to screws. 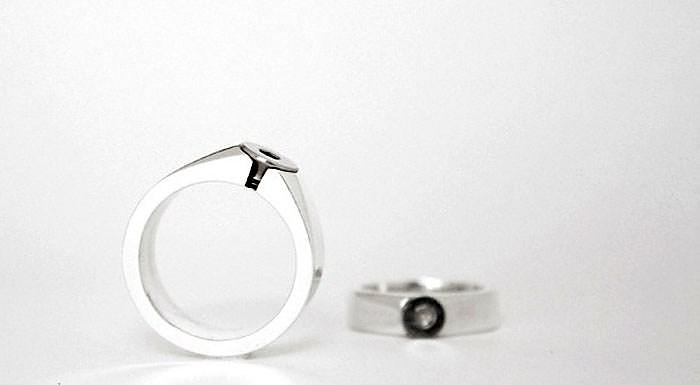 The M3-M4 rings by Canadian design studio The National Design Collective (the NDC) propose an alternative view on our perception of beauty and luxury. 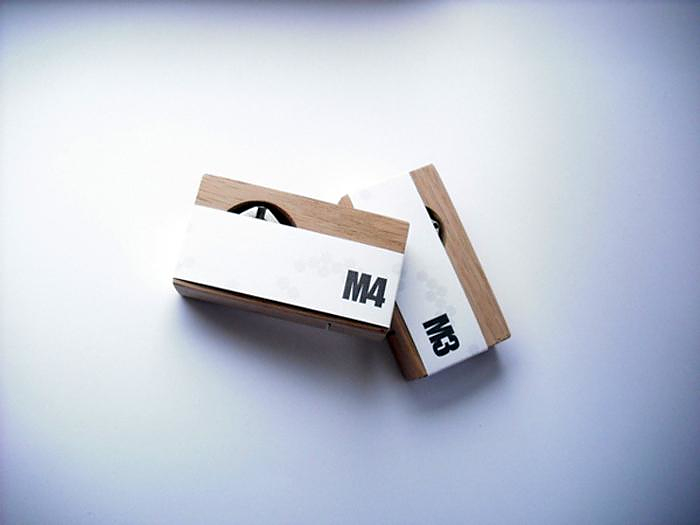 Where luxury items are typically based upon their rarity, M3-M4 challenge this notion by redefining that luxury should stem from utility merit and not on scarcity. 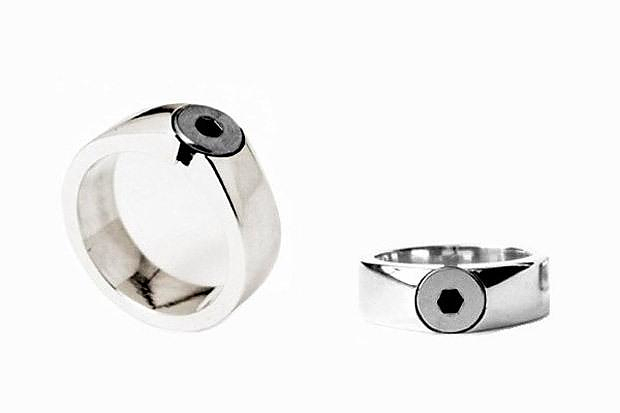 In the M3-M4 Rings a hex-screw is placed where one would expect to see a diamond or at least a shiny precious stone. 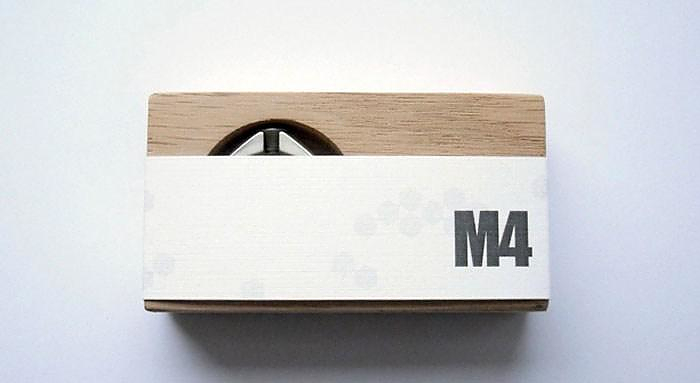 This is indeed an ingenious concept with sleek “industrial” aesthetics that highlights the mechanical beauty found in common functional objects, the “Hidden Heroes” of everyday life. 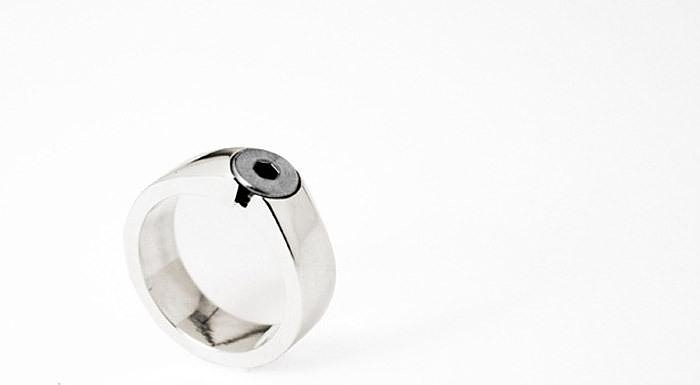 As their name clearly suggests the M3 Ring is adorned with a type M3 hex-screw and the M3 Rings is adorned with a type M4 hex-screw. 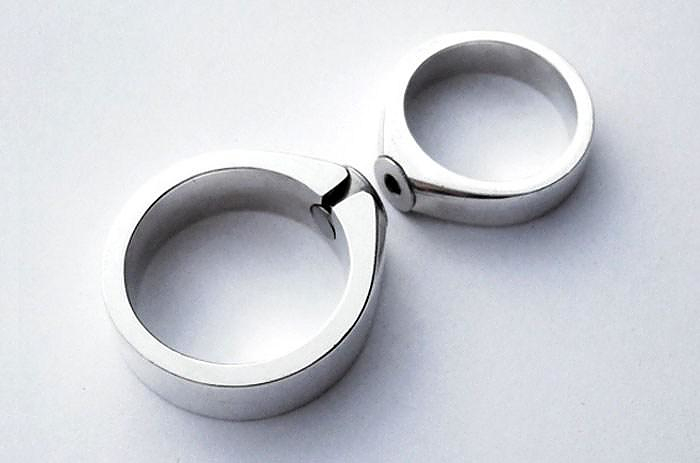 Designed and made in Toronto, both rings are made of sterling silver, are hand-polished to a mirror finish and come in both Ladies and Men’s sizes. 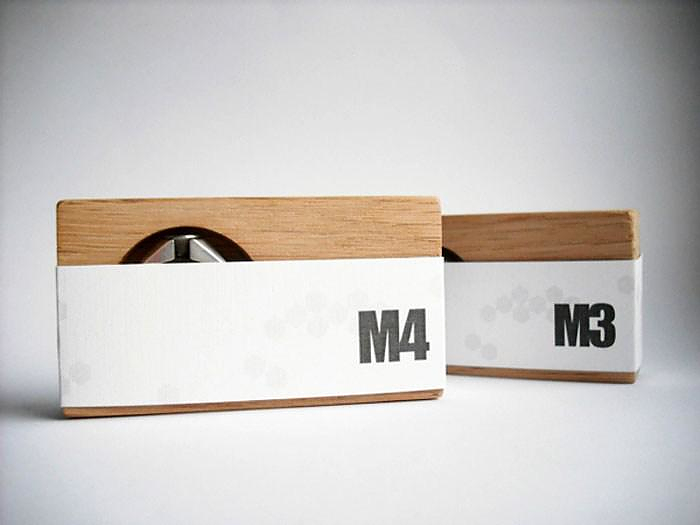 The presentation is finalized with appropriate packaging, as rings are shipped in a nice, solid, reusable, wooden box. 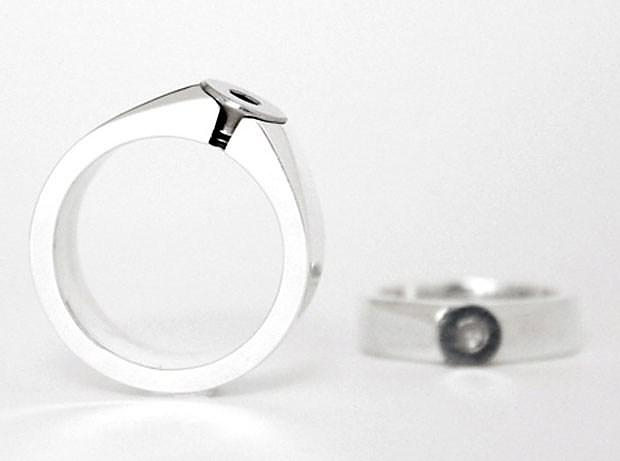 If you were looking for jewelry to impress and engineer, we think the M3-M4 rings by The National Design Collective perfectly fit the bill.